I’ve been contemplating whether to buy a juicer or not for a while now. And when I say a while. I mean almost a year. Even my mom was like hurry up already, just pick one up. Mind you, my husband was saying the same. My previous juicer was a hand me down Jack Lalane which I just never really got comfortable using. I present to you my new Breville juicer. To give you an idea as to how indecisive of a shopper I am, here’s a picture of the juicer at Macy’s. Where we didn’t buy it. Instead, we came home, read some more reviews and purchased the exact same juicer on the Williams Sonoma website. Turned out it was the same price with free shipping. Anyway, first up was everyone’s favorite juice: Carrot Apple. Except, I kept telling my husband I was making orange apple juice. To which, he replied: why? we have that at the market! And around we went. So, back to the Carrot Apple juice making. 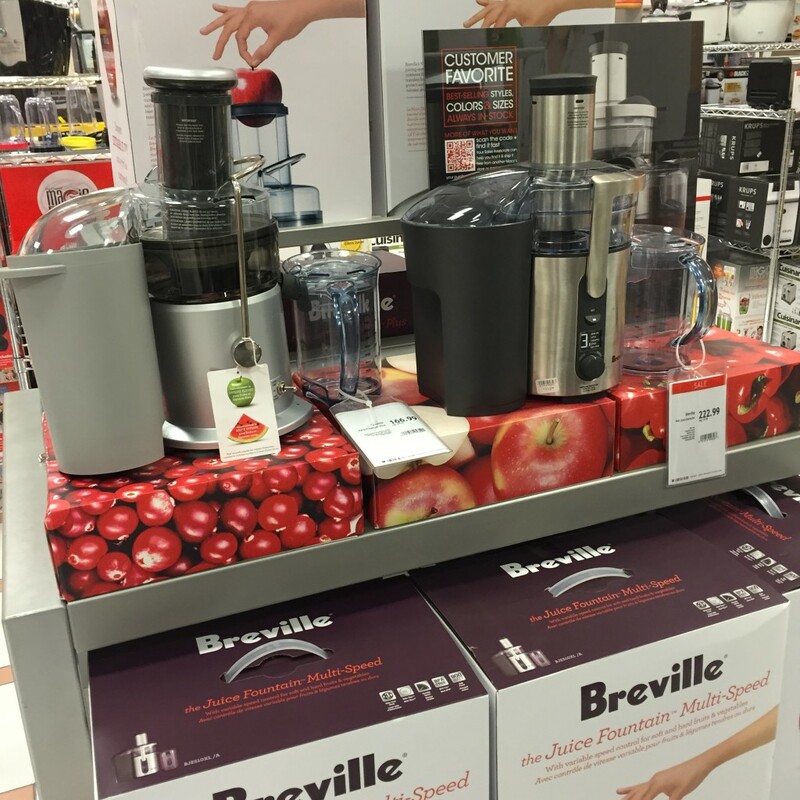 The chute on the Breville Juice Fountain Plus is larger than average, however, I still had to quarter my apples for them to fit in. Not a big deal. As for the carrots, I brought home baby carrots to avoid the extra chopping. Win! The juice turned out great and very flavorful. It took about 10 minutes from grabbing the ingredients, to juicing to clean up. The final result was two 16-oz mason jars full of yummy goodness. Use pre-chopped vegetables/fruits to save time. Use the slow speed button for softer food and higher speed for harder food. Line the bucket with a shopping bag for faster cleanup. Get some mason jars and make extra juice for storage. 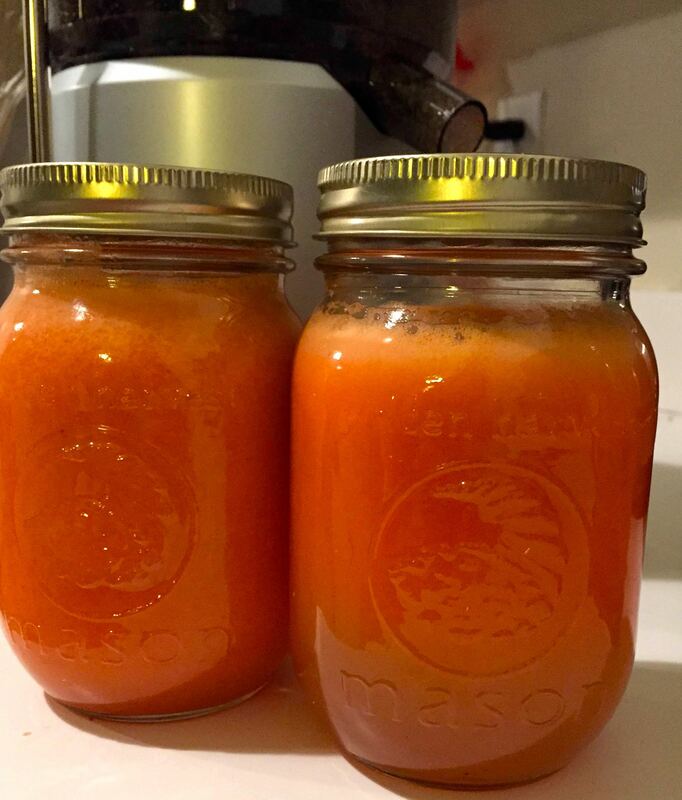 You can store fresh juice for a few days.